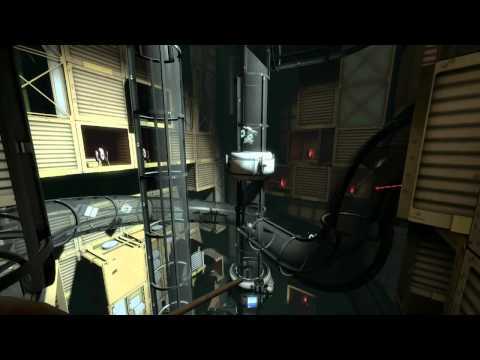 If you’re a comedy nerd, such as myself, you may be pumped to find out that the upcomming portal 2 game on PS3, XBox 360, and PC features the vocal stylings of Stephen Merchant as Wheatley, your robotic tour guide. You might remember Merchant from his writing on the office and the hilarious Ricky Gervais Podcast. Portal 2 is the follow up to the hugely popular and brain bending Portal from Valve Software. I’ve played it as part of Half-Life 2 Orange Box and thought it was awesome there, but apparently the PC and Mac versions are superior, although Portal 2 was announced with Valve’s steam engine on PS3, which will allow the upcoming title to be updated the same way the Mac and PC versions are. Bonus! I’m really excited about Portal 2 as I find Valve’s games to be super creative and engaging. If I wasn’t a gamer before, this would have pushed me over the edge.